HAPPY NEW YEAR everyone! I hope you've all had a wonderful time this Holiday and wish you all the best for 2015! 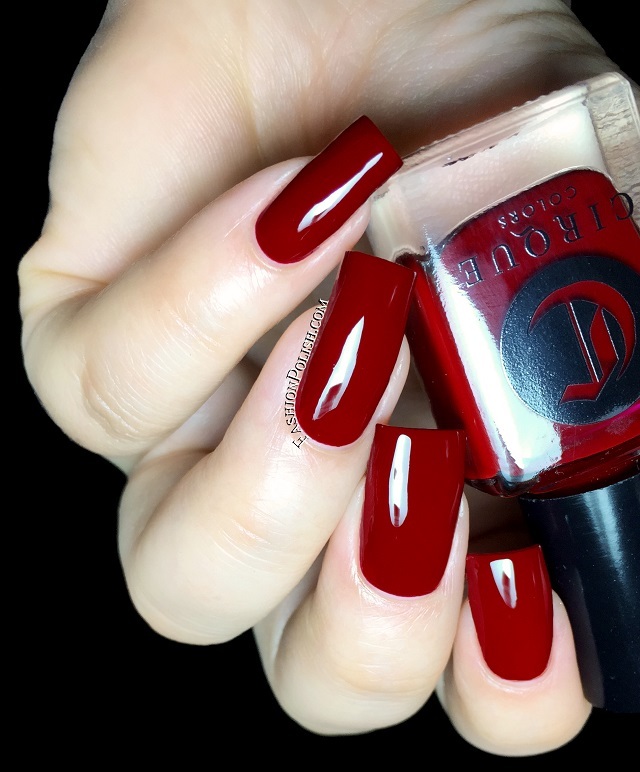 The Devil Wears Cirque is a medium red creme with maroon undertones. It looks completely different depending on the lighting, from bright red to almost Bordeaux red. 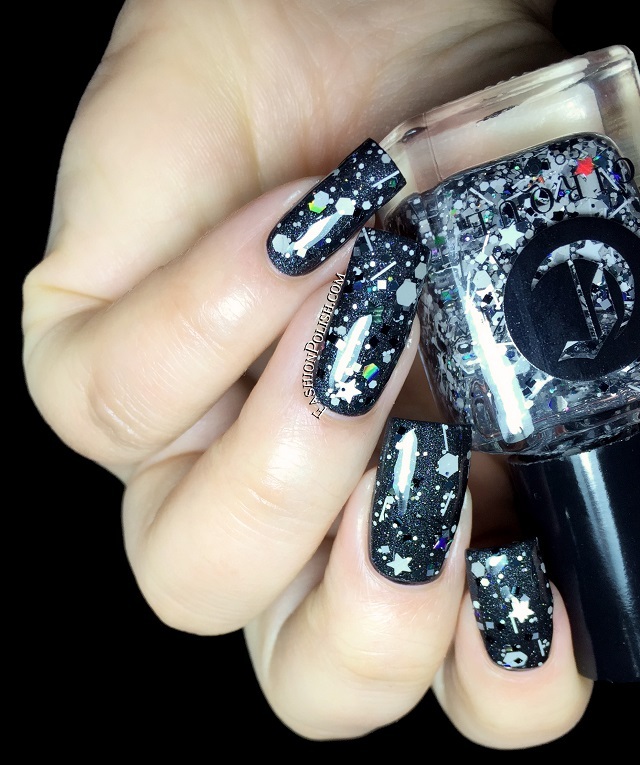 Formula was nice and easy to work with, highly pigmented, drying to an slightly satin. I used 2 thin coats plus topcoat in my swatch. 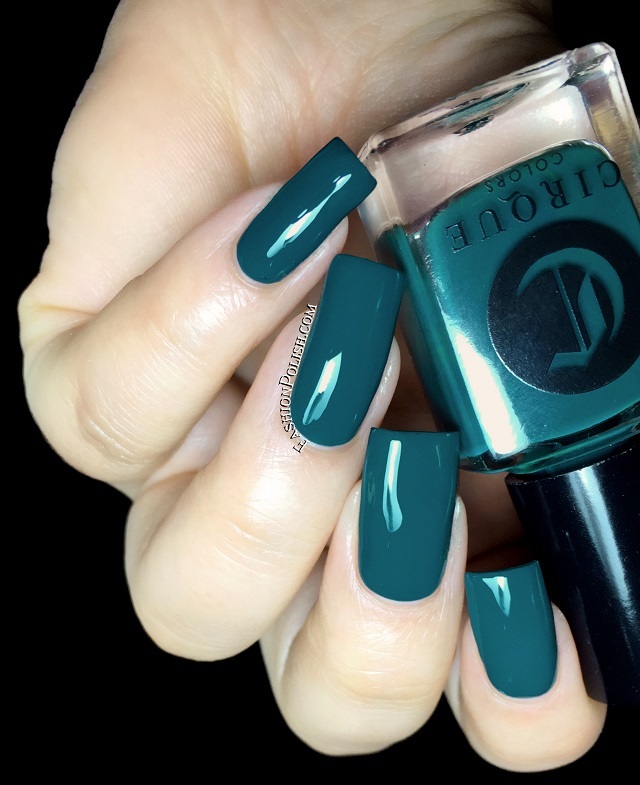 Tavern on the Teal is a medium teal creme. Rich and sophisticated, perfect in the Winter. 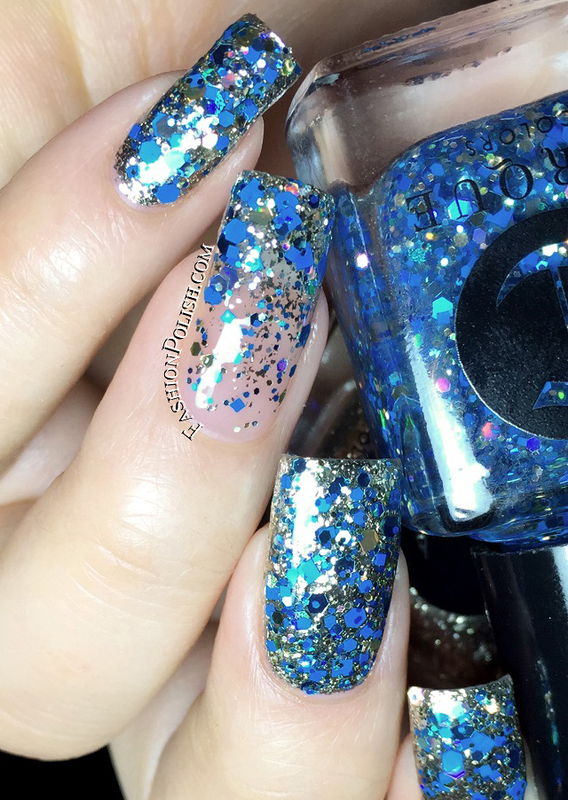 Just as easy to work with as The Devil Wears Cirque, I also used 2 thin coats plus topcoat. 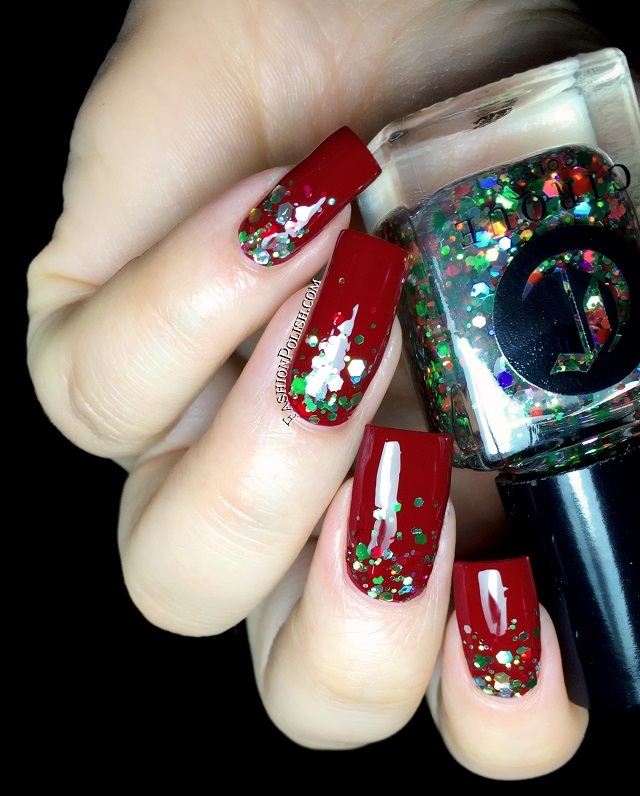 Holo-Day Cheer is a glitter topper that consists of red, green, gold and silver hexes as well as a touch of dots. 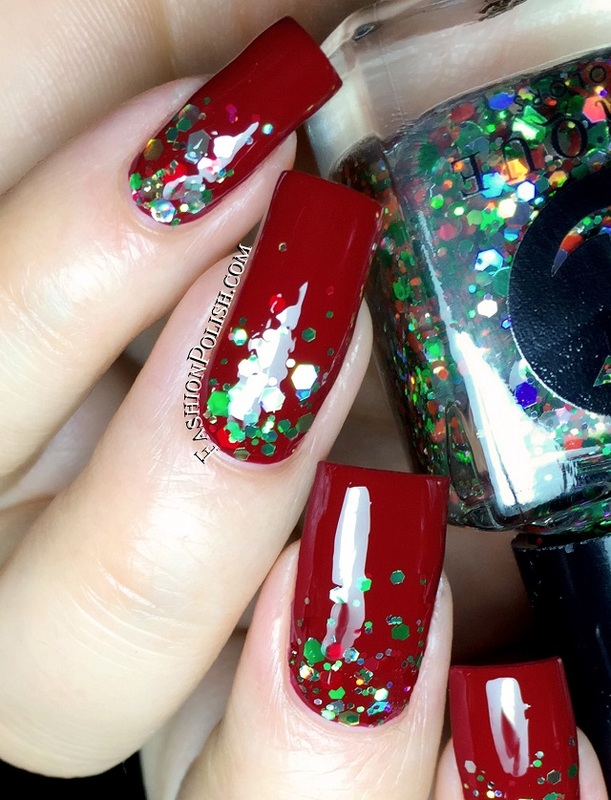 It screams Holiday, just perfect! I paired it with The Devil Wears Cirque. 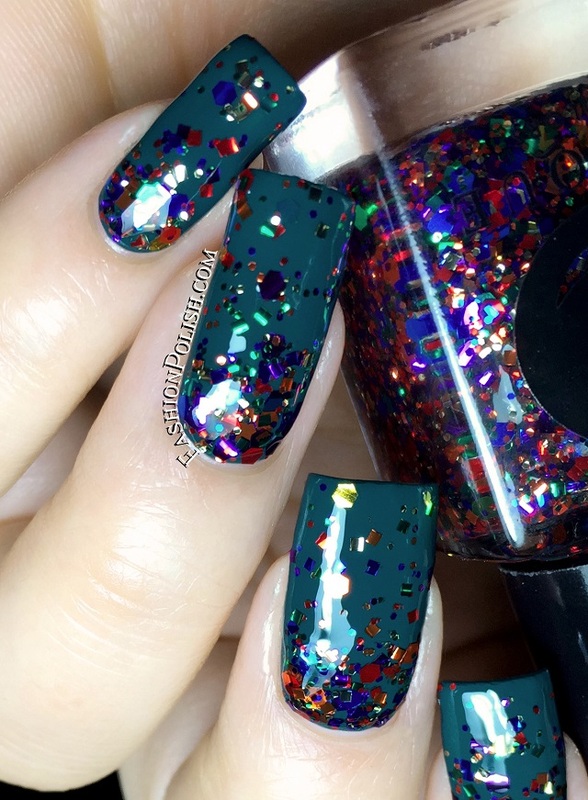 Let's Dance is a fun multicolored glitter bomb, heavy mix of rainbow metallic pieces in all sorts of shapes and sizes. I used it over Tavern on the Teal. 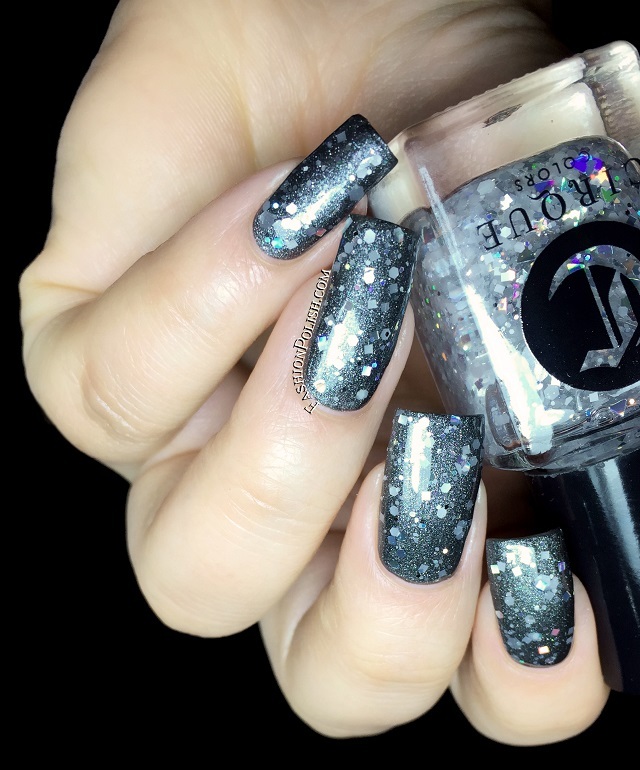 1999 is an ethereal glitter overcoat, soft white almost pearly pieces and holographic silver glitters. 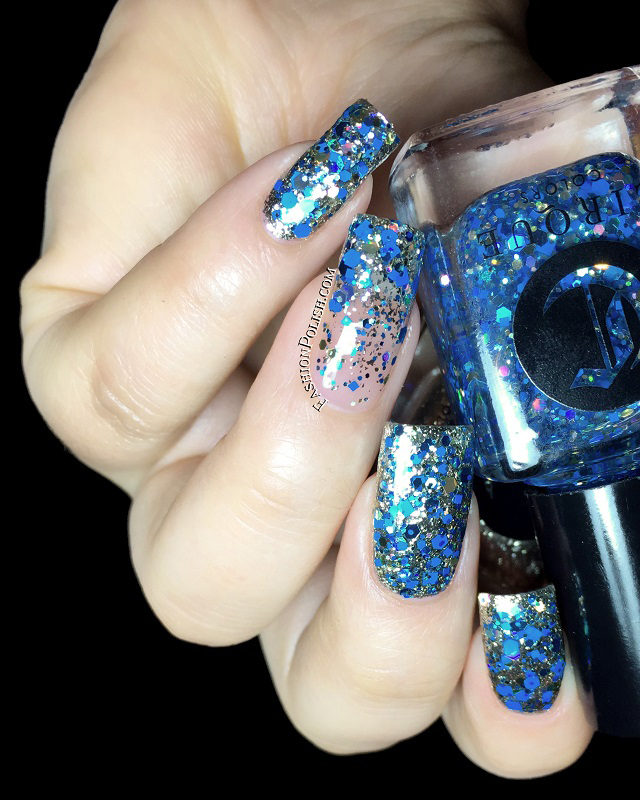 It's delicate and sparkly at the same time. 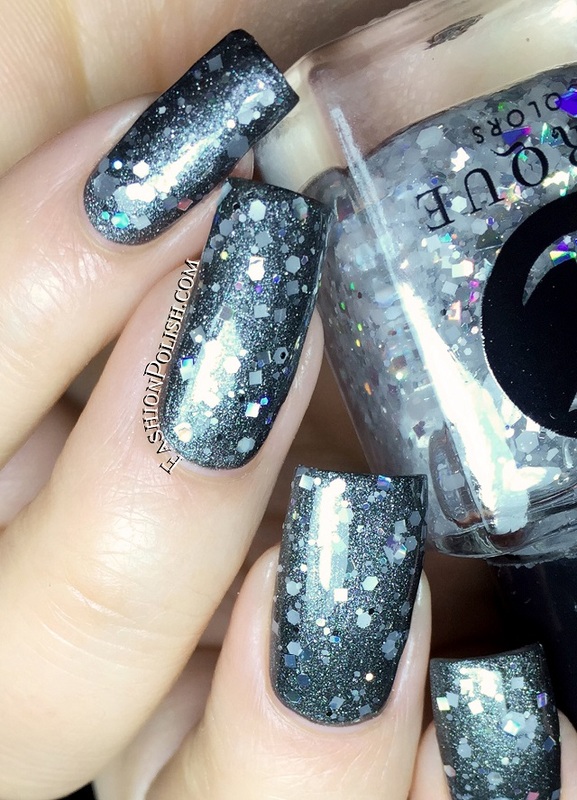 Shown here over Zoya Loredana. 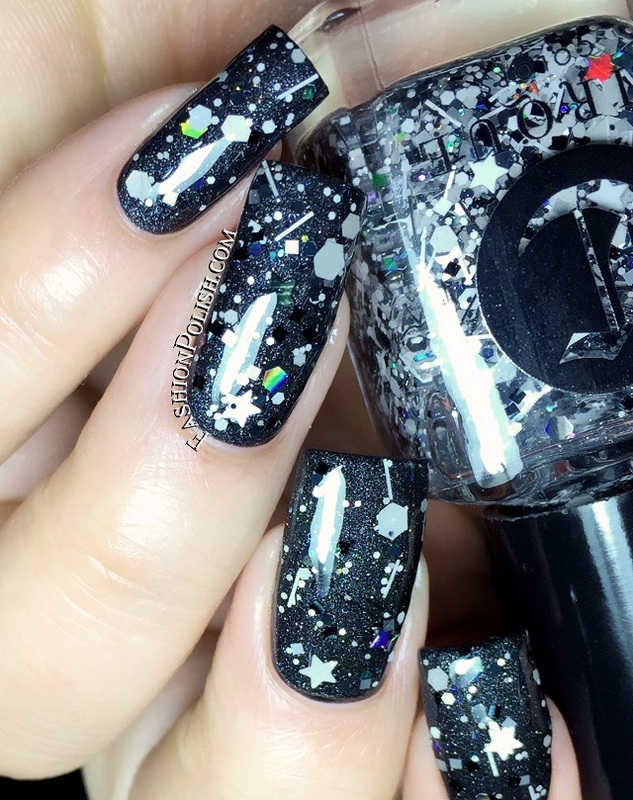 One More Time is a fun mix of black, white and gray glitters, bars, hexes, dots, squares, stars,.. I used it over Zoya Dovima. 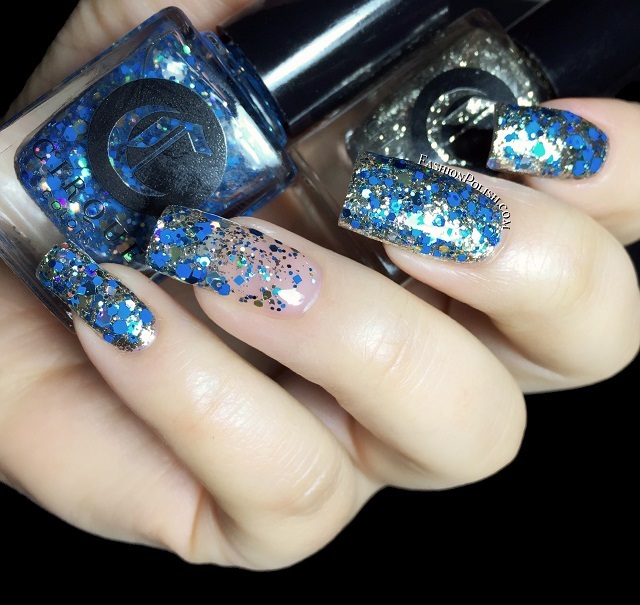 8 Crazy Nights is a unique glitter topper, a mix of different shades of blue glitters, both matte and metallic as well as holo silver pieces. I decided to do something a bit different and pair it with Mirror Mirror, the new limited edition pure silver-coated flakie. 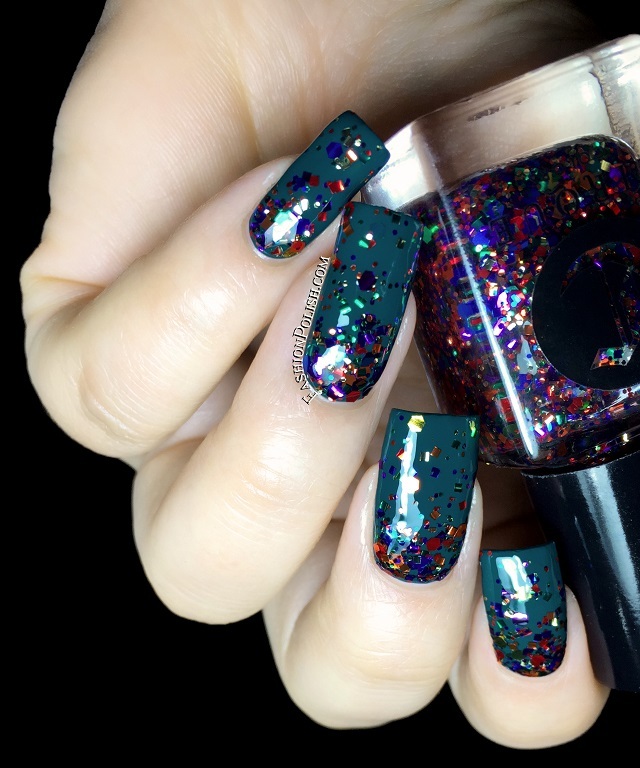 The Cirque is available for purchase on cirquecolors.com and retails for $13 each (Mirror Mirror retails for $18). 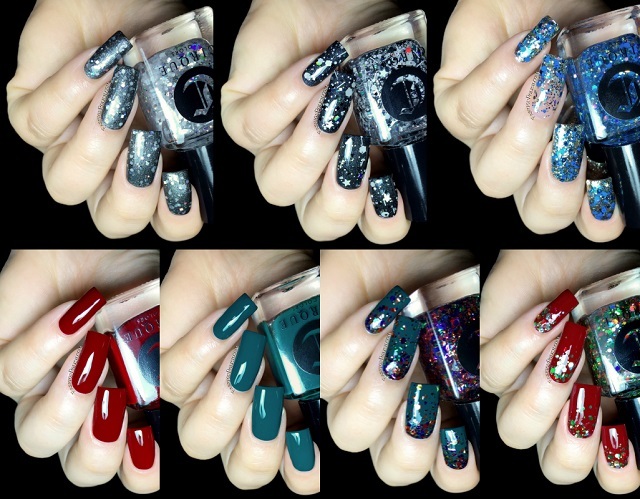 For a list of international Cirque stockists, please refer to this list.